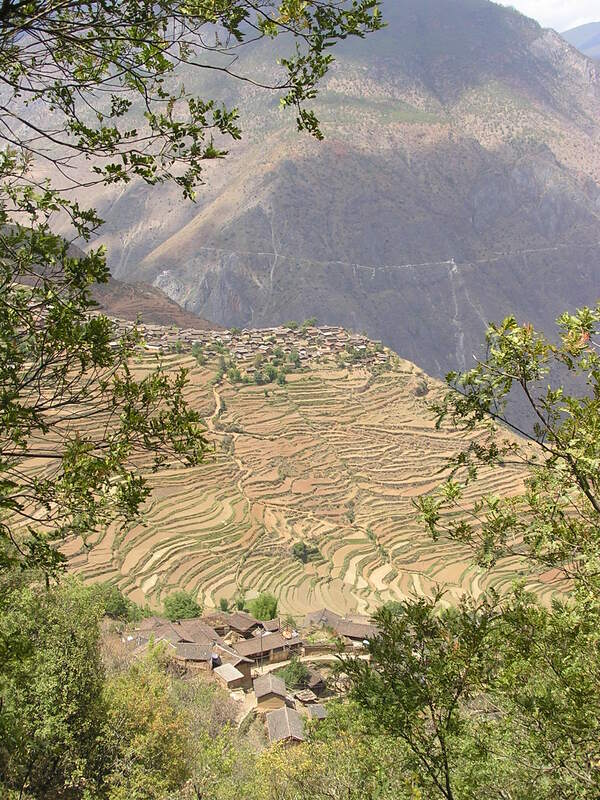 In a hidden valley at 13 kms from Baoshan’s government seat rests the village of Wumu. Together with it’s neighbouring villages Suming and Mingwei it has a history of about 800 years. Until very recently electricity and motorized vehicles were absent in the village. The population counts for about 300 families, living in little farm courtyards. They raise pigs, chickens, horses, mules, goats and cows; in the fields mainly wheat, corn, rice, beans, lentils and tobacco are grown but also vegetables and fruits. Local specialities are ham, walnuts, pears, geranium essential oil and honey. All the villagers are farmers; they live a very traditional life with strong family ties and rich ceremony. Wumu draws researchers’ attention for it’s ancient yet intelligent irrigation management system as water resources are just sufficient to grow crops all year around. The village is also known for its Dongba culture and today Wumu still counts nine Dongba shamans. Dongba’s take care of the ceremonies during the year, make Dongba paper and pass on the Dongba scripts for next generations. Huahuasei (pronounced: “hwa hwa say”) is Naxi language meaning: feeling merry, with no worries. In Dongba, the script of the Naxi shamans, it is depicted as two pheasants and a Himalayan blue sheep. The phrase huahuasei is used in many popular Naxi songs. 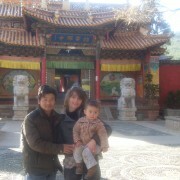 It’s the essence of being Naxi, their rythm of life in accordance with nature. 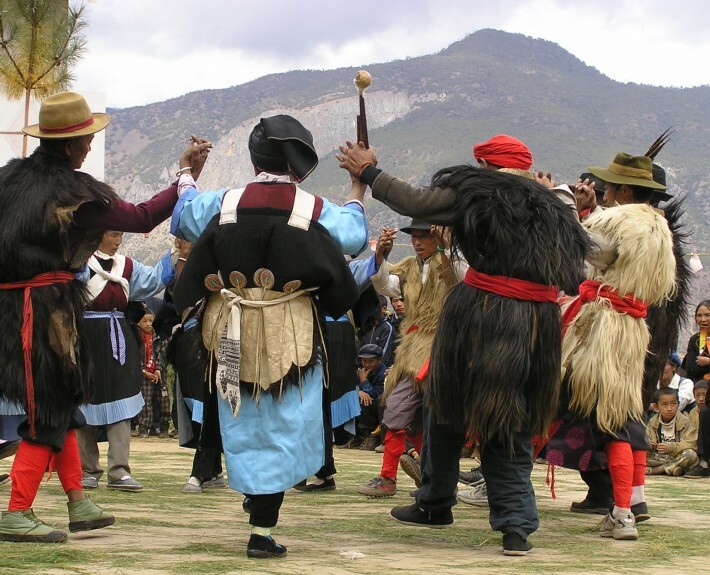 With Huahuasei we create possibilities to experience and appreciate in a comfortable yet sustainable way, traditional Naxi life in a remote village. Our activities are valuable to outside visitors as well as to the villagers, preserving their identity and close ties with nature. Huahuasei is the idea of a Naxi-Belgian couple, Jeff He and Wendy Van Heesvelde, combining strong Naxi family ties and western know-how to an original, personal and high qualitative hospitality experience. 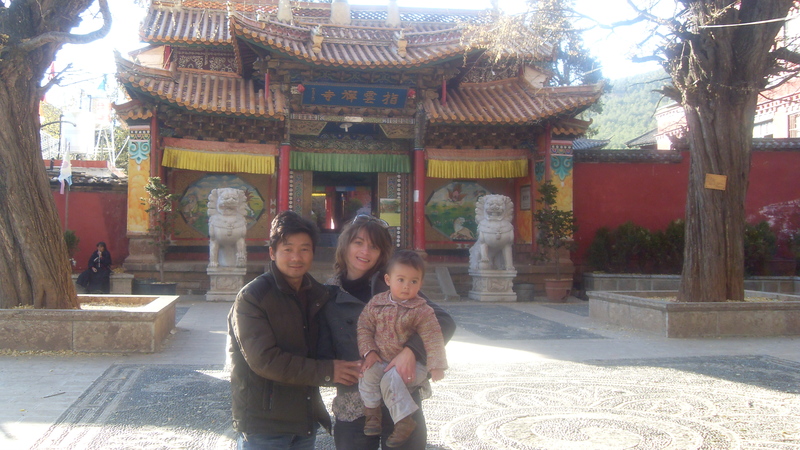 When Jeff and Wendy met in Lijiang Old Town they had totally different backgrounds but they shared the same fondness for the outdoors and the old ways of the Naxi people. In 2006 they got married in Wumu; they have two children.